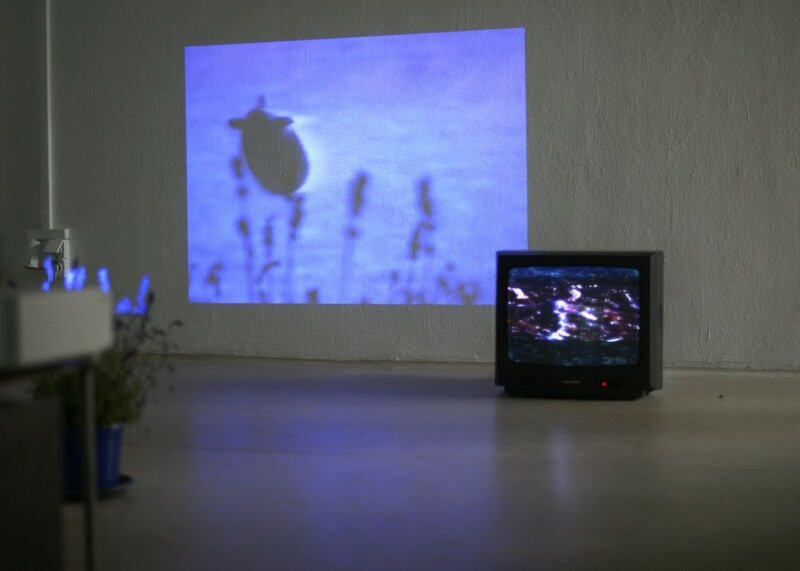 In a projection, a zeppelin is flying in a loop, just next to a monitor that shows a child carefully inching its way forward through a glitched landscape. After a short time of observing, it seems like both the zeppelin and the child are attracting and disengaging from another. Blurry shadows of lavender are moving in the draft of the projector fan. 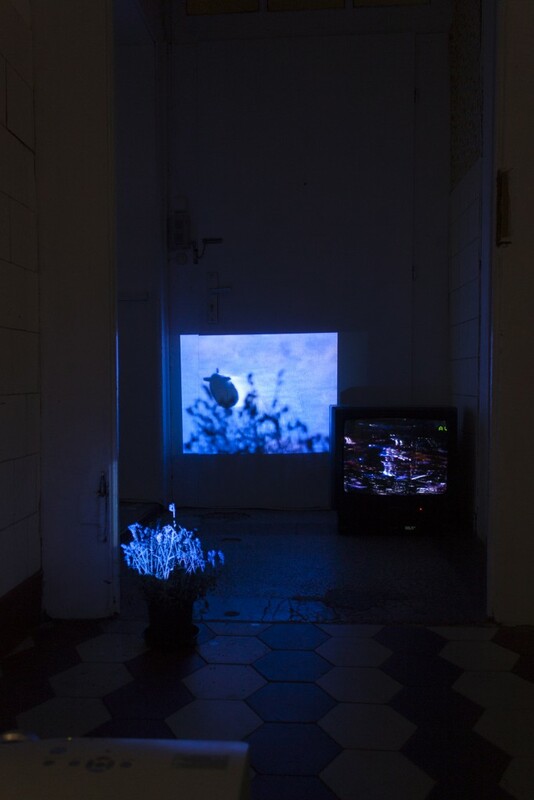 The shown video installation consists of found footage from the artist’s childhood, filmed by his mother. Childhood pictures, in that case moving images, are made to conserve a specific moment and create a memory. But none of these images, neither the situation is actually remembered, because of the child’s young age. In this, what remains is a reconstruction in overlapping moments of projections; an echo of the past that becomes an accessible yet alien episode. Barthes, Roland: Die helle Kammer. Bemerkungen zur Photographie. Frankfurt/Main: Suhrkamp, 2014. Sontag, Susan: Über Fotografie. Frankfurt/Main: Fischer, 2013.